Regional Studies, Regional Science, 1:1, 5-20. Regional Studies, Regional Science, 1:1, 40-42.
lock-in, Regional Studies, Regional Science, 1:1, 138-144.
theory, Regional Studies, Regional Science, 1:1, 21-24. Regional Science, Regional Studies, Regional Science, 1:1, 1-4. Herewith my 2014 contributions to the place branding & strategic spatial planning debate as well as some reflections on the 'creative city' and today's urban planning practice published in various top academic journals. If you are interested, please email me eduardo.hsoliveira@gmail.com and I will send you the PDF. Abstract This chapter adopts a strategic spatial planning approach to think strategically about potential joint place branding initiatives between cross-border regions. The case study focuses on the extended cross-border European region composed of the NUTS 3 Minho-Lima, Cávado, Ave, Grande Porto, Tâmega, Entre Douro e Vouga, Douro,and Alto Trás-os-Montes of Northern Portugal and the provinces of A Coruña, Lugo, Ourense,and Pontevedra of the Autonomous Community of Galicia in northwest Spain. Shifting the tide: city branding in today’s urban planning In this post I will briefly outline these dominant urban trends and discuss how place branding can bring more creativity, enthusiasm and coolness to urban planning practice. 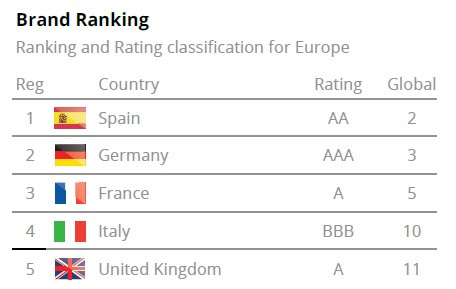 Scoring goals, building brands In my last post, I shared my thoughts on country and city brand rankings. Now, I want to debate the entanglements of another competition, the FIFA World Cup 2014.
we would like to thank your support during 2014. It was great to feel your enthusiasm during conferences and social events. After a great year, we wish you all season’s greetings. Julie Miao Tian, RSA Early Career Rep.
Eduardo Oliveira, RSA Student Rep.
City Nation Placeproject is aiming to create a first global picture of place branding sector and understand how to improve place branding strategies for cities, countries and nations worldwide. The survey will benchmark best practice in place branding which will bring together national, regional and city government leaders, heads of tourism and investment boards, heads of trade and those responsible for bidding to host international sporting and cultural events. Completing the survey will take no longer than 8 minutes and all of your responses will be treated as confidential and anonymised. PLUS! All participants can enter our prize draw to win an iPad Mini. 27 open access articles published, the work of 39authorsThe average paper taking just 14 weeks from submission to publication11 early career researchers mentored to publication17,020 full-text downloads by readers in 113 countriesArticles published by researchers based in: Australia, Brazil, Canada, Denmark, Finland, France, Germany, Italy, Japan, Nepal, New Zealand, Portugal, South Africa, Spain, United Kingdom, and the United States.15% of downloads by visitors from social media sitesThank you to all who made this such a successful year. 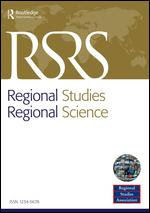 Forward to a friendWant to publish your paper in Regional Studies, Regional Science? A recent tweet from Malcolm Allan, director ofPlace Matters, said that place branding should ‘infuse town planning with new energy, insight and purpose’. This inspired me to put together some thoughts about major urban trends and the role place branding can play in boostingurban planning practices. Today’scities have become places ofabundance, underpinned by large, and often uncontrolled, amounts ofprivate capital, speculative development and foreign investment in property.